Location, location, location. It’s the mantra the real estate industry lives by, and it is one that researchers value as well. In fact, in a recent Observation Baltimore Client Survey, 75% of researchers rated facility location 7 or higher on a 10-point scale. Convenience to transportation hubs is one component of a good location (and one that Observation Baltimore enjoys), but it is not the only one. A good location is also defined by access to local resources that are beneficial to the research process. Here are a few things that we truly love about our location. If you are arriving from out of town, you will be pleased to learn that our market research facility is located just minutes from Baltimore’s major transportation hubs. BWI Airport and AMTRAK are just six minutes away, connected directly by a toll-free highway, I-95. 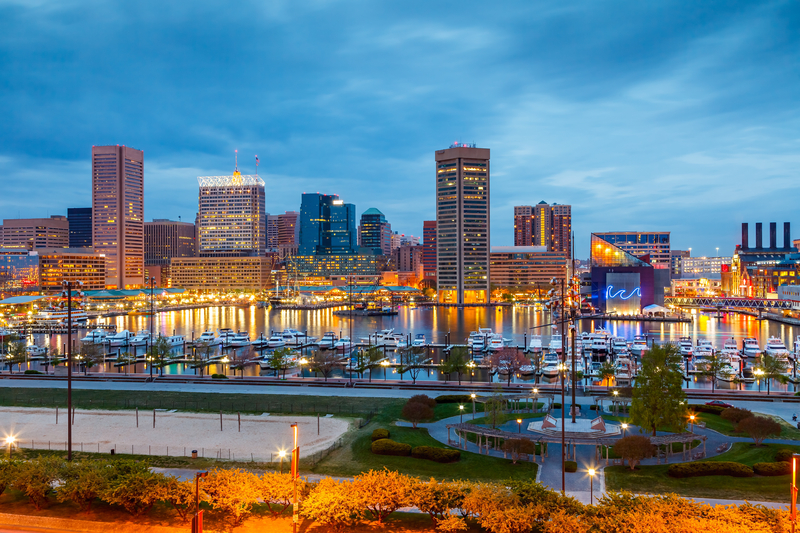 Downtown Baltimore is just ten minutes from our facility. Observation Baltimore’s location in a research park gives us the unique opportunity to bounce ideas off our research-minded neighbors. New concepts are constantly in the air here, and we utilize our community to foster them from their nascent stages to innovative ideas. Observation Baltimore is located right next the University of Maryland, Baltimore County. It is great to be next to an institution of higher learning because of the energy it brings to our community. In addition, our location next to the university gives us access to a demographic that offers great recruiting and research potential. This entry was posted on Wednesday, November 5th, 2014 at 7:09 pm. Both comments and pings are currently closed.